The park is quite small with a little over thirty campsites to choose from. It's all very tucked away along Limekiln Creek with eleven ocean-view spots to set up camp. 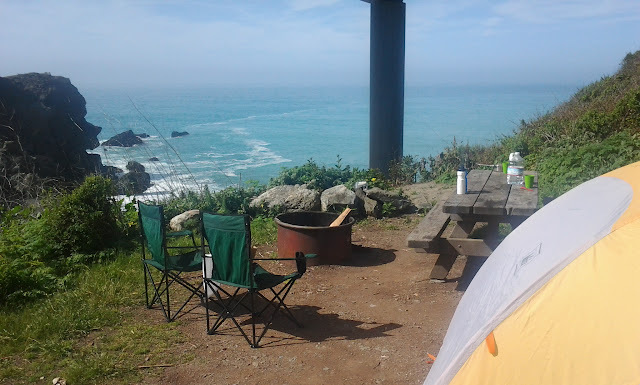 We chose spot #1, and sitting at our picnic table perched above the private beach below, we hardly noticed the handful of campers at the sites below us. The only draw back to our secluded location? The short hike down to the toilets and hot (pay) showers (worth every quarter -- by the way, bring quarters). Fall asleep to waves crashing and awaken to the morning sun sparkling down onto the water below. Hot tea and sea otter watching with glimpses of playful dolphins? Check! 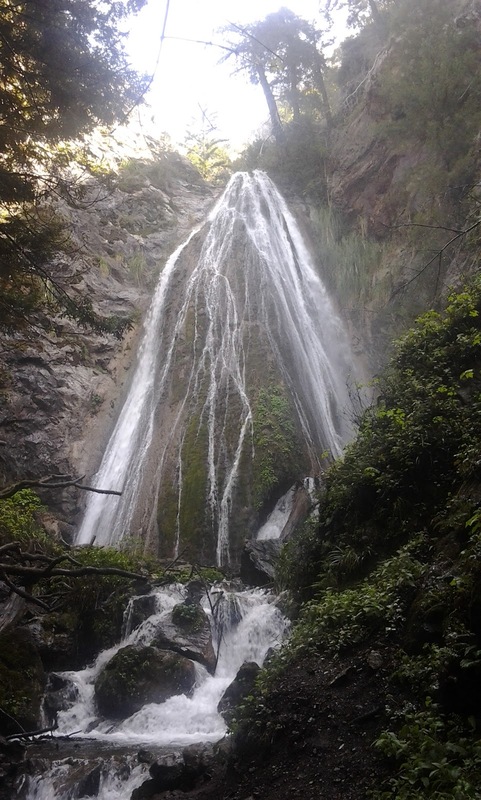 After breakfast, take a short hike along Hare Creek trail. 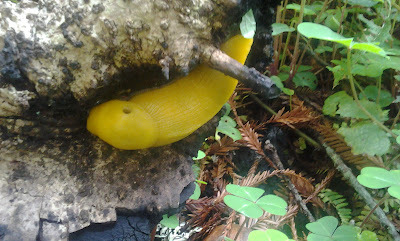 Spot banana slugs and soak in the coolness of the redwood grove that surrounds you. Back track and take Falls Trails to the 100-foot waterfall and then head on over to Limekiln Trail to learn more about the story behind the park's name. If we were still in the area we would've loved to visit this place; smaller campsites are the best! I just hope the park is able to reopen next year! that is so so so so sad!!! i hope it reopens, it's beautiful! p.s. thanks for your congratulations!! I hope so too, Krystal... I'm still so excited for your news. Curious about your experience giving birth (!!!) in Switzerland. Oh my gorsh!!! That is just breathtakingly gorgeous! As much as I love Scotland, I have to say I miss the gorgeous diversity of the states! So sad that I'll (and so many others) will miss this! 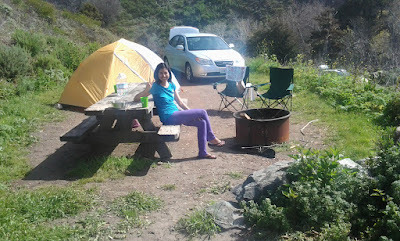 I'm not a big camper, but I would camp all summer if it meant all National Park sites could stay open! THanks for your support, Lar!! Did you receive the package? Not yet ;) I'm on the lookout. I'll send you an e-mail once I do receive it. Thank you!!! Amanda you were right about the June gloom so I was prepared for it. It was beautiful to walk in the mornings to the beach and hear the ocean roar. This park is amazing and would be a shame to lose it. Our 4th of July was gloomy, too! :( Oh well. I'm glad you enjoyed Sea World! Hi there! I stumbled upon this blog post while researching for an upcoming trip to Limekiln (yay it's still opened :D) and I was curious if the noise from the CA 1 bridge was intruding at all, or did the ocean waves mellow it out? Thanks for your insight! Hi May! I am glad you stopped by! You know, I don't remember any noise from the bridge, but I don't know if that's my bad memory or just that there was no noise to remember! I do remember feeling like we were far away from "civilization." hehe. Also, the highway was closed off and on just north of the campsite, so I don't know if that caused any reduced traffic. 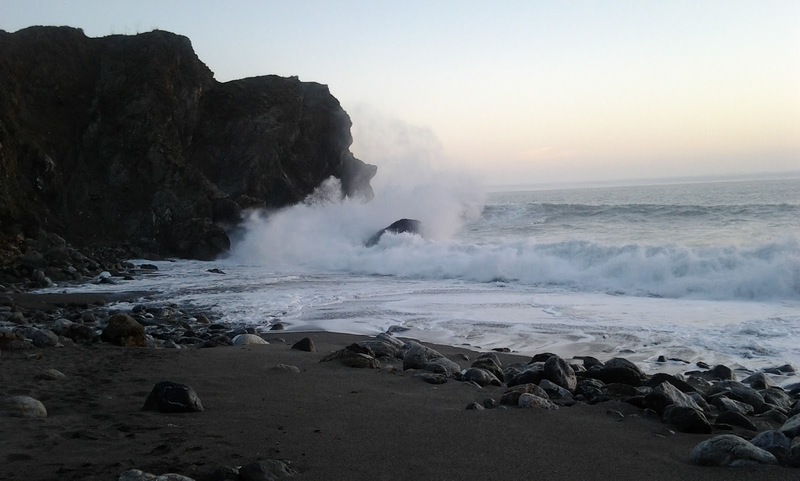 If there is any car noise, the waves really are so loud (I do remember that!) that I am sure it would drown out most of it. And really, even if there is a bit of car noise, this campsite is so worth it!